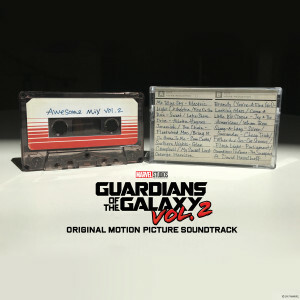 Get your tape deck ready for Guardians of the Galaxy: Awesome Mix, Vol. 2! As featured in Guardians of the Galaxy’s closing scene, the Awesome Mix, Vol. 2 cassette is packed with 70’s songs like ELO’s “Mr. Blue Sky,” Cat Steven’s touching “Father And Son,” Parliament’s “Flashlight” and more. This mixtape is the perfect throwback compilation to help in saving the galaxy! This is an Awesome cassette, I bought it for my 6 year old grandson who loves this movie he didn't know what a cassette tape was (been born into the digital era) now all he want is cassette tapes to be played on my old cassette tape player, I'm waiting on Vol. 1 that's on back order. Great purchase! Quality of the tape and packaging is excellent. Fun novelty keepsake that takes you back to the era of tape decks and walkmans. Puts you in a retro mindset.